Melanie Rehak was always a passionate cook and food lover. Since reading the likes of Michael Pollan, Eric Schlosser, and Wendell Berry, she’d tried to eat thoughtfully as well. But after the birth of her son, Jules, she wanted to know more: What mattered most, organic or local? Who were these local farmers? Was it possible to be an ethical consumer and still revel in the delights of food? And why wouldn’t Jules eat anything, organic or not? Eating for Beginners details the year she spent discovering what how to be an eater and a parent in today’s increasingly complicated world. She joined the kitchen staff at applewood, a small restaurant owned by a young couple committed to using locally grown food, and worked on some of the farms that supplied it. Between prepping the nightly menu, milking goats, and sorting beans, Rehak gained an understanding of her own about what to eat and why. (It didn’t hurt that, along the way, even the most dedicated organic farmers admitted that their children sometimes ate McDonald's.) And as we follow her on her quest to find the pleasure in doing the right thing—and become a better cook in the bargain—we too will make our peace with food. 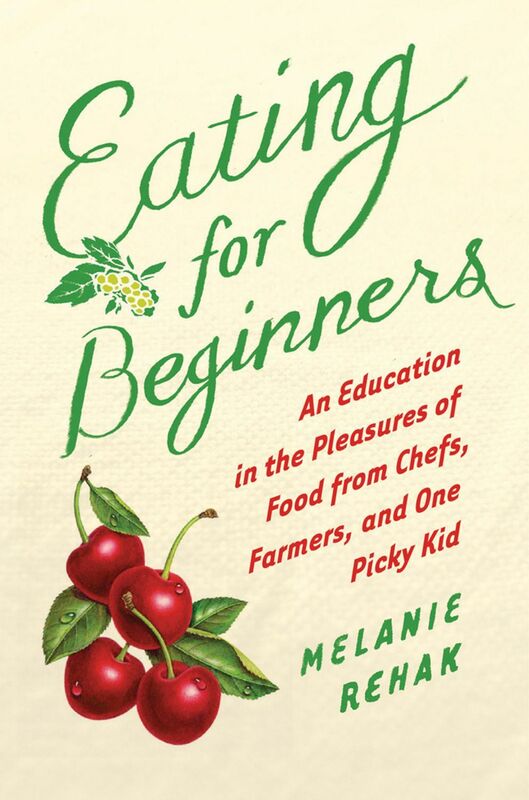 If you feel a sensual rush in an open-air farmers market ("Ah, pyramids of mellow fruit") and a smidgen of moral uplift ("I'm buying local"), you will enjoy "Eating for Beginners," a fine blend of the investigative and the intimate. Foodies have it pretty good these days. Farmers markets abound. Reality TV shows serve up every conceivable kitchen-related scenario. A bounty of new culinary books comes out each year, from gloriously illustrated cookbooks to engaging reads on where food really comes from, how it's processed and why you shouldn't be eating so much of it. Here are three that caught our eye. Rehak, who writes Bookforum’s “Paper Palate” food books column and the blog Eating for Beginners, felt confused and guilty about her food choices after reading books by Michael Pollan, Eric Schlosser, and others. So she joined the kitchen staff at a small restaurant that served almost exclusively locally grown food, and worked on some of the farms that supplied the restaurant. She shares what she learned and how she used it to combat her young son’s fussy eating habits. Rehak recounts her journey as an amateur chef, amateur farmer, and amateur parent.